Yesterday was, as this newspaper's correspondent called it on Twitter, "a historic day for North East fans of local government"
Yesterday was, as this newspaper's correspondent called it on Twitter, "a historic day for North East fans of local government". And for fans of politics, with tomorrow’s Spending Review just a sleep away, it’s a big old week. The decision by the seven local authorities comprising the North Eastern Local Enterprise Partnership (LEP) area to form a Combined Authority – taken at yesterday’s meeting of council leaders – will transform the governance landscape of the region. Our members certainly think it will be a change for the better, offering hope of a more strategic approach to matters of economic significance to the region, along the lines of that mapped out by Lord Adonis’ North East Commission earlier this year. 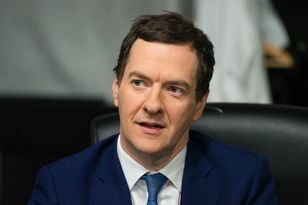 A Combined Authority working alongside a properly-resourced and business-led LEP could help deliver a step-change in economic performance, and it will be interesting to see what powers these bodies are handed by Chancellor George Osborne tomorrow. The North East has made a compelling case for them. The other announcement is expected on Thursday when – after the dust settles on tomorrow’s news of the latest cuts’ – the Government is widely tipped to unveil details of its planned infrastructure investments. And the CBI has told Mr Osborne in no uncertain terms that this could prove make or break for the recovery. We have urged the Chancellor not to repeat the mistakes of the last spending round and be much bolder in terms of the scale of his plans. We are calling for short-term action on improving roads; boosting house-building and getting a pipeline of major projects moving. The reality is, if the Government doesn’t act now, less infrastructure could be built in the years ahead, as cuts from the last spending round continue to feed through and decisions on major projects remain up in the air. Our submission to Mr Osborne includes a call for the Government to select flagship projects to prioritise; cross-party manifesto pledges to accept findings of the Davies Commission on aviation capacity in 2015; clarity over the next investment cycle for the Affordable Homes Programme; an extension of the duration of government guarantee schemes to boost private sector investment; and a programme of repair, maintenance and improvement schemes for roads to bridge the gap before larger projects reach construction. North East councils demonstrated vision and leadership with their commitment. No, for the sake of the nation, the Chancellor needs to do likewise. THE East Coast Main Line should stay in public hands, ministers have been told.